If you have more than two home screen pages on your iPhone, jumping back to the main page can seem like a lot of unnecessary swiping. For example, an eight-page home screen would take seven swipes right to get back from the last page to the main page — but it doesn't have to take that much work. While it may be obvious to the more expert iOS users, those of you relatively new to Apple's mobile operating system might not know this trick yet. 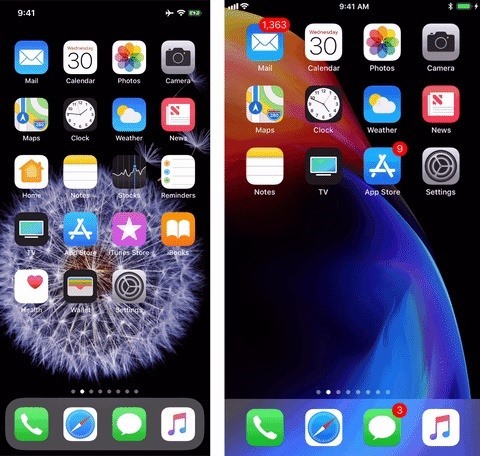 With just one gesture, you can return from one of your subsequent home screen pages to the first one that likely houses your most important app icons. To return to the first home screen page of apps, it's just like closing an open app you're in and returning to the home screen. On an iPhone X, you simply swipe up quickly from the bottom of the screen. For all other iPhone models, just click the Home button once (not tap). iPhone X (left) and a different iPhone model (right). That's all there is to it, and it works on iOS 11 and all previous iOS versions. If you've been swiping and swiping back to the home screen page from one of your other ones, now you can either just swipe quickly once or press a button. It's that easy and sure to annoy you if you didn't know it sooner. If you tend to use AssistiveTouch on your iPhone, tapping the "Home" button in the AssistiveTouch menu will also jump you back to the first home screen page.